Sun and sea... here I come! 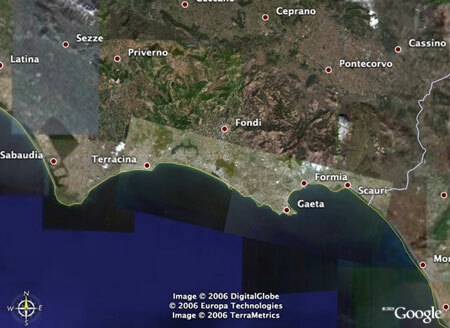 I am off to the southern Lazio coast for a short but hopefully relaxing seaside vacation. While I tan myself in the Italian sun and enjoy the local food, posting will continue regularly thanks to Typepad's handy scheduled posting function. Arrivederci! Tallinn, take 3: eating Medieval style in Olde Hansa. Tallinn's restaurant scene boasts a few Medieval themed restaurants: not surprising, given the city's historical heritage and the marketing used to promote it. 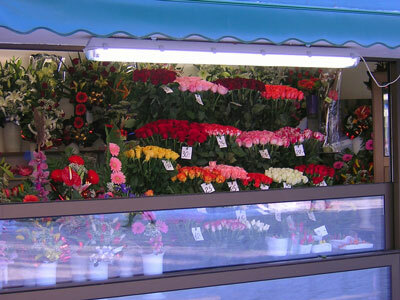 The absolutely first eating out suggestion I got about Tallinn Came from Juliane, a friend of ours. As soon as she heard we were headed there, she made us promise that we would be eating out in the Medieval themed Olde Hansa. Juliane, who has a passion for Medieval stuff, had eaten there, loved it and raved about it in such a way that we had no doubt we just HAD to try it out... if only to stop our ears from falling off. Still, I have to admit I was slightly dubious, and not because of Juliane's enthusiasm. The problem is, whenever I had visited a Medieval themed place before, be it a restaurant or open-air feast (of which Germany has its fair share), I always felt like I was landing straight into a classic tourist trap. The "medieval theme" too often turns out to be food served under make-believe medieval names by people dressed up in costumes. Sometimes there's a show, but I'll leave that for anyone into blogging about torture. 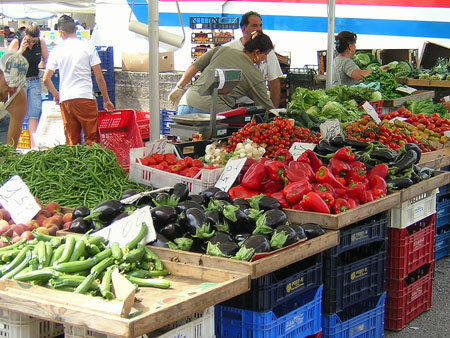 Arguing if the recipes are accurate or not does not, in most cases, even come close to the real problem: the use of tomatoes, potatoes and other "New World" ingredients says it all. Although I did not try any of Tallinn's Medieval restaurants apart Olde Hansa, I quickly started to suspect that the majority are the kind of places I just described. Call it sixth sense... or maybe it is just dishes like chicken teriyaki or gumbo that are a give-away. I shouldn't have worried too much. Once we got to Olde Hansa and started browsing the menu I had to admit to myself that things would be quite different here. The naming of the dishes can be a bit preposterous at times, sounding like a mix between parodic Medieval prose and something put together by a chef in need of an ego massage (Grand beef of the Mighty Knight anyone? ), but once I got over the pompous names I couldn't help notice that the menu seemed to be put together far more seriously than usual. 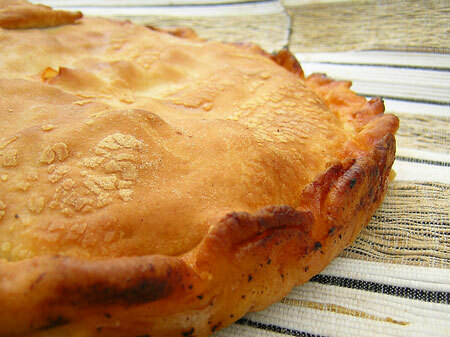 The majority of the dishes focus on meat – there is even bear for the curious and brave – but chicken, fish and vegetarian courses get their share in the part dedicated to Lent dishes. Not being familiar with the details and evolution of Medieval cuisine, especially that of northern Europe, I have no idea of how authentic the recipes used really are. They do give the impression of being well researched with a predominance of Hanseatic-inspired cooking, and at least there's no trace of the usual obvious historical mistakes. 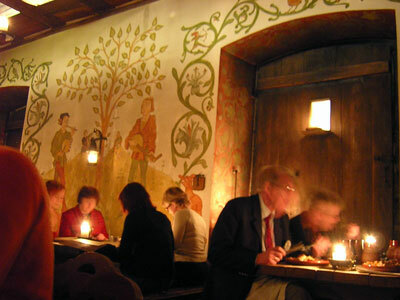 The interiors of Olde Hansa contribute to recreating the Medieval atmosphere as much as the food. Everything keeps the historic spirit of the place, from the nature-tones tinted frescos inspired to the art of the time to the lighting, provided almost entirely by candle (although with a minimal use of artificial bulbs). A professional historian might probably find reasons for criticising the decor, but for the rest of us the effect is quite stunning. 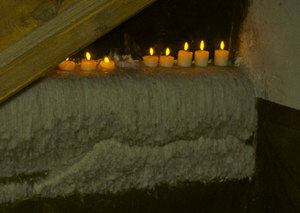 The "wax cascade" (above, left) made by the candles illuminating the staircase to the first floor gives you a good idea of how many candles these people must go through. 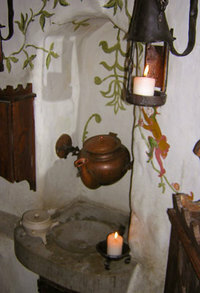 What was unexpected was the the toilets, where all the modern comforts are disguised to look "medieval", just like the sink tap transformed into a copper kettle. I'm not a huge cafe fan, though I have a few favourites, and even less of a bar fly, yet doing the tourist thing makes me feel the urge to find the next cafe for a drink or a quick snack like nothing else. A little pause between attractions is just what I need when visiting somewhere new: you rest a moment, relax, and after a little you're ready to absorb the atmosphere around you. In the same way, when lunch time comes I usually don't want the full lengthy five course affair, which I'd rather leave to the evening (and one or two upcoming posts); rather I prefer something simple that leaves me time to continue enjoying the visit. Fortunately Tallinn has plenty of nice cafes and bars which offer refuge from the chilling weather in winter (and a chance to cool down in summer, I would imagine), and can also be a pretty good option for lunch. Among the few cafe's we tried – with -10°C outside you stop quite often for a warm drink – there are two which I particularly liked. Ironically, we ended up in both almost by mistake. Kehrwieder is a local cafes chain that runs a few different places in the city centre of Tallinn. We were actually looking for their Tristan & Isolde Cafe, but, since I mixed up the addresses, we ended up in the Cafe and Chocolaterie. (Both places are on the main City Hall square so not such a huge mistake after all.) As soon as we got into the vaulted cellar that holds this cafe Daniela and me fell in love with the place, its mismatched chairs and tables, and simply the cosy atmosphere. And yes, they also make some pretty good cakes – we picked a berry pie and a gooseberry crumble tart – that there's a good selection of teas and chocolates, the latter both as pralines and as drink, and that even the coffee was not too bad to my espresso accustomed palate. To get an even better idea of the place you could go to Pille's blog, nami-nami: she has a nice post on this cafe and a couple of pictures which give a nice feel of the place. 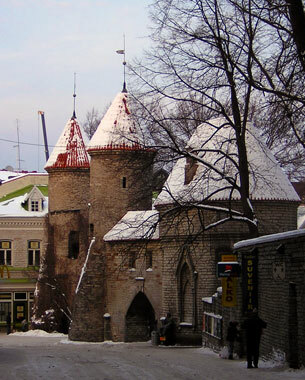 Pikk 16 is an address that has made the gastronomic history of Tallinn. It is here that the roots of what is now Kalev, the Estonian chocolate and candy maker, were established: now it hosts the city's oldest cafe, open since 1864, and an inviting Estonian restaurant, both named Maiasmokk. Following Pille's advice, we had originally planned to dine in the restaurant, but, do to a misunderstanding with our reservation date, we missed our chance. Instead, on our last day and again by chance, we ended up in the ground floor cafe, seeking refuge from a sudden storm of icy wind. The interiors here are exactly what you would expect from such a traditional place, with lots of mirrors and dark wood creating a very fin-de-siecle atmosphere. 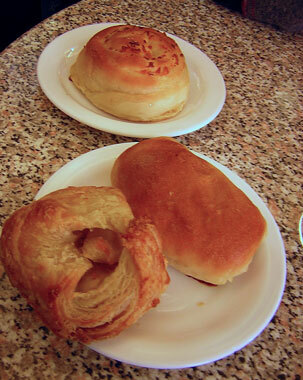 While the drinks here are just OK, what really deserves a mention are the many cakes, and pastries, sweet and savory. The sweets are great for an afternoon cup of coffee and the pastries are ideal for a light snack or lunch, so you could come here again and again: we picked a few pastires (left), and I regret I only found out about this place on the last day, because I would have gone back for more. Funny how quickly time ticks away without you hardly noticing and then realising months have passed in a blink of an eye. 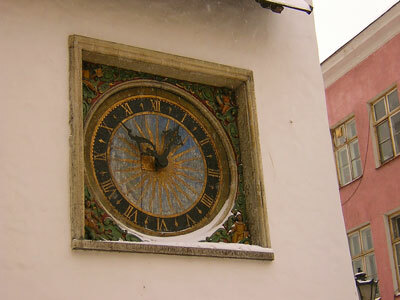 Just over two month's ago me and Daniela were in Tallinn, -10°C and snow, and now it is June. OK, the weather has not sensibly improved, at least not here – rain and cold winds making late May seem like Autumn – but Winter seems ages ago. Writing about Tallinn on this blog was one of the things I kept postponing because of my busy schedule: finally things have started to slow down a bit and so I find the time for this long overdue write-up. 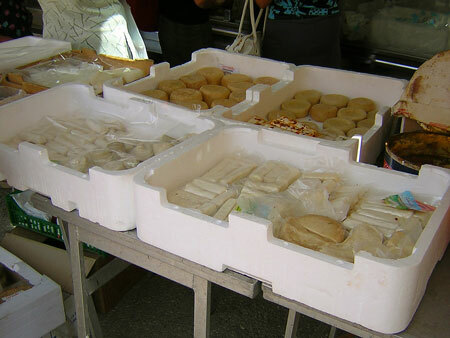 This first post is uncommonly, for my blog, bare of food. Just thought I'd mention that first, in case you're on of those people whose only interest is in the edible branch of blogs. While I'm sure the follow-ups will make up for that, this fascinating city deserves an account of its own. Having travelled quite a lot throughout Europe, I have somewhat gotten used to the general landscape and I very often end up seeing more similarities than differences between my new destinations and those I have experienced in the past. Tallinn definitely changed that perception. Everything seemed different and new – language, people (and the peculiar look people give tourists), atmosphere – tickling my curiosity enough to want to just go out, absorb the atmosphere of the place and forget about the freezing temperature. Not too hard actually: Tallinn has a fair share of cosy cafes, ideal spots to thaw your frozen feet. The novelty of the place passed somewhat in the background once I entered the city centre's gates (above). I could blame the global chains or the tourists for that. Or even the large numbers of the prime British export to Europe, the always annoying stag parties, with their groups of apish "mates" trying to woo the local beauties – and yes, the women are beautiful here – yet managing little more than beer fuelled mumbling and a couple of steps before turning back to their real interest, the pint glass. If it hadn't been for the snow I would have been wondering if I had stepped on the wrong plane and landed in Ibiza. But that's not it, and really, it is not a question of blame. Takeaway pizza on Friday evenings is one of the things I really miss of Naples. 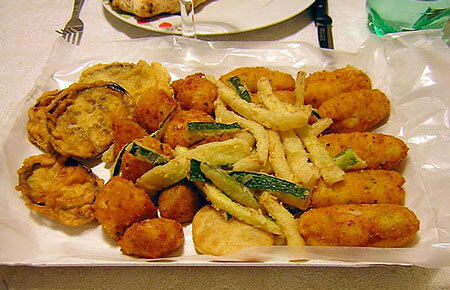 Even better if with a cold beer and side of pezzi fritti (fried morsels) as antipasto! P.S. 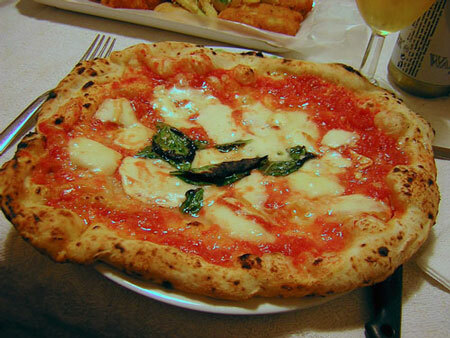 Eating pizza in a real Neapolitan pizzeria is even better, but on Fridays that usually means waiting an hour or so since everybody seems to feel like pizza on Fridays in Naples. If I think that this is the best we get in Jena (that "crazy dog pizza" deserves a front row place at the tribunal for crimes against pizza), I feel like crying: wouldn't you? 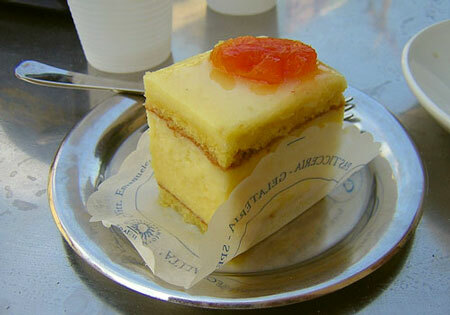 Living abroad I have noticed that to many Italian pastry products are not particularly exiting. People might love those antipasti and pastas, devour risotto and pizza, yet when it comes to sweets many would rather turn to classics from the northern side of the Alps. For once I have to agree. Not that Italian sweets are bad, quite the contrary, but they are too simple and straightforward, lacking that fancy and fussy side desserts thrive upon. That would be a completely honest description of Italian sweets if it wasn't for Sicily: once you land on the island you join a world of candied fruits, baroque cakes, incredible ices and even Mexican style chocolates (more about that in a few days.) It's almost dishonest to call Sicilian patisserie "Italian", it is actually more the product of centuries of Mediterranean fusion at its best. And while there are many places serving great traditional sweets, Sicily is also one of the most exiting places pastry-wise in Italy, where it only Corrado Assenza and his Caffé Sicilia in the Baroque city of Noto.